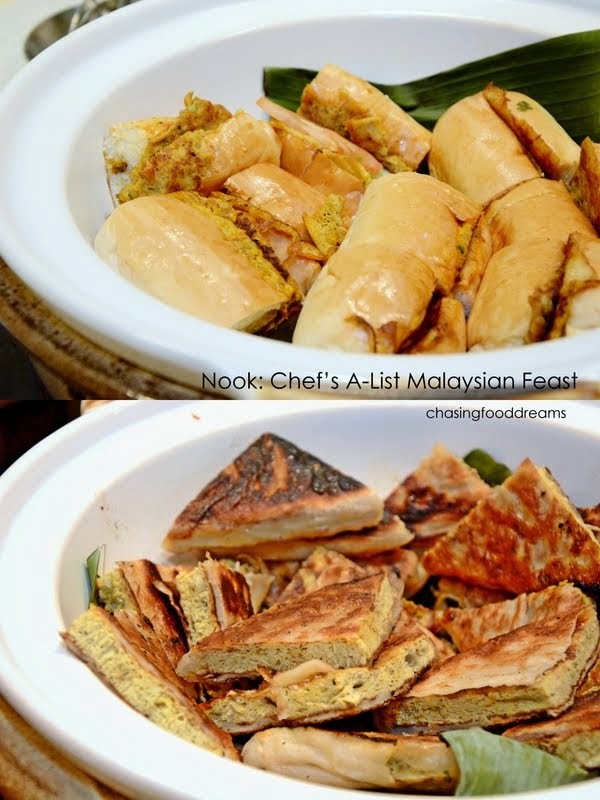 CHASING FOOD DREAMS: Nook, Aloft Kuala Lumpur Sentral: Chef’s A-List Malaysian Feast is Back for Buka Puasa! 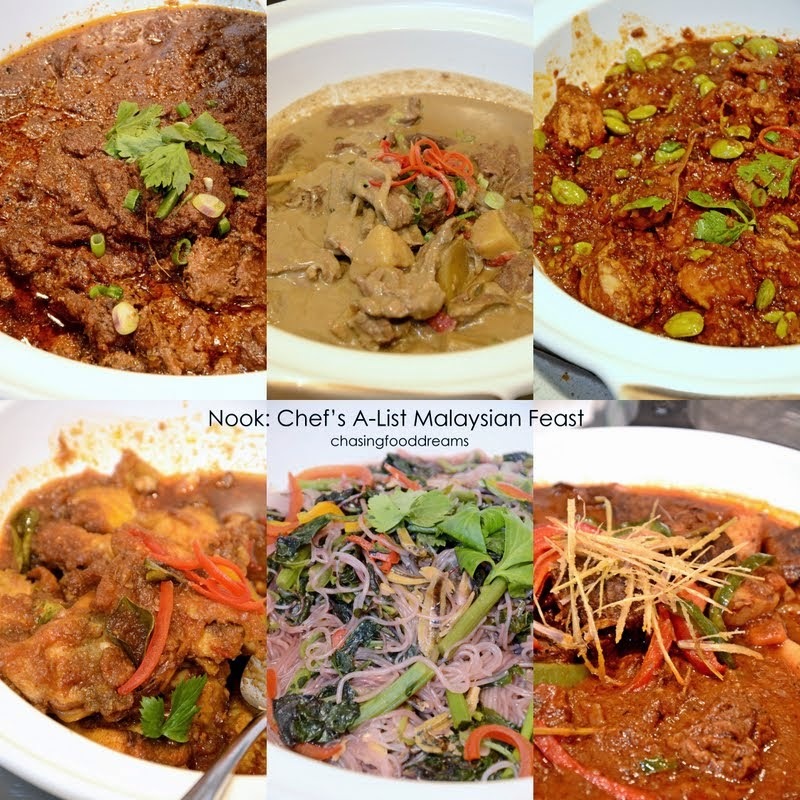 Nook, Aloft Kuala Lumpur Sentral: Chef’s A-List Malaysian Feast is Back for Buka Puasa! Buka Puasa this Ramadhan at Nook! Ramadhan is just around the corner and many will now be busy preparing for the upcoming holy month. While it may be a busy month of preparation, let’s not forget to buka puasa for Ramadhan with a little pampering feast. 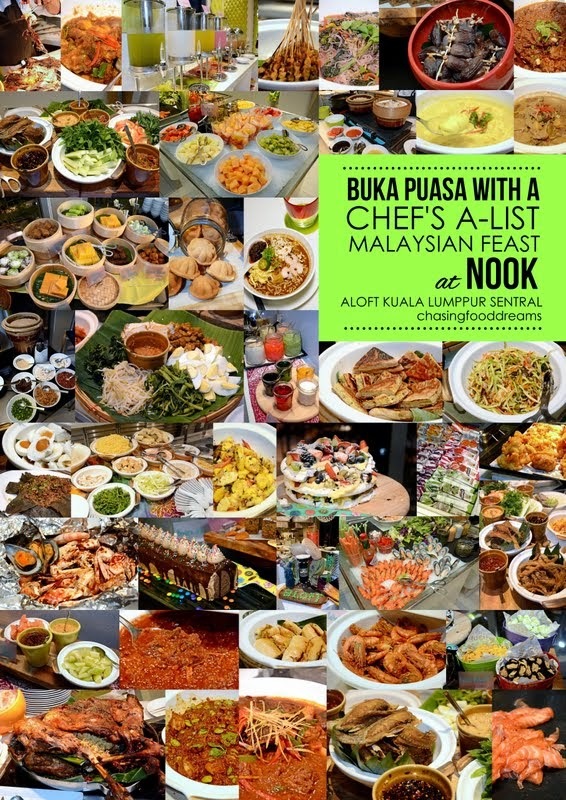 First on my list of restaurants to berbuka puasa is Nook at Aloft Kuala Lumpur Sentral. No stranger here, I am always happy to visit Nook, simply for its scrumptious bowl of Sarawak Laksa. I have yet to find one as good as the version here in the city. 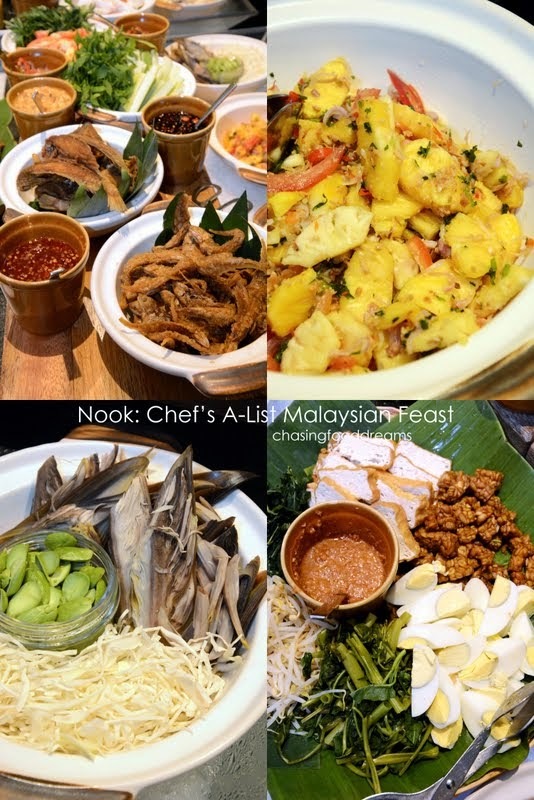 That’s not all, back in demand this year, Nook is showcasing their Chef’s A-List Malaysian Feast with a sumptuous and delectable spread of local Malay dishes with international favorites too. The A-List Malaysian Feast is created by Chef Steven Seow and his team, offering Chef’s star dishes such as the much sought after Stuffed Whole Lamb Kuzi served with Nasi Briyani. Beautifully roasted and spiced up with herbs and spices, the tender lamb will have mouth salivating at sight. Enjoy the lamb with fluffy Nasi Briyani, Vegetable Dhall, crispy crackers and pickled Cucumber and Pineapple Achar. Sitting next to the lamb are pots of mouthwatering Rendang Ayam, Daging Kurma, Sambal Ayam Dengan Petai and Sambal Kerang together with aromatic Nasi Lemak. Moving further along, there were pots of Malay Herb Rice and Nasi Ulam to be enjoyed with more curries like Telur Itik Masak Lemak, Assorted Ulam and Sambals. Let’s not forget Telur Masin and Ikan Masin which never fails to whet the appetite. The BBQ station also has plenty to offer with its chunky sticks of Beef and Chicken Satay, Roasted Whole Chicken with Green Pepper, Ikan Panggang, Grilled Seafood and more. For those who enjoy the all-time-favorite street food, there is Murtabak, Roti John and other breads on rotation basis daily. Other hot dishes include Oysters Au Gratin, Salted Beef with Kimchi, Deep Fried Prawns, Beef Stew, Steamed Chicken Rice, Braised Chicken with Mushroom, Lotus Leaf Rice and so much more. Seafood lovers should always hit the Seafood on Ice bar first for its array of Smoked Salmon, Chilled Prawns, Mussels and Crab. Enjoy some Kerabu, Gado Gado and Salad while you are at the cold bar with all the tempting Sambals. For me, one should never leave Nook without trying their signature Sarawak Laksa! Piping hot, have your pick of noodles and enjoy the piquant spicy lemak laksa with the aromatic chili and a squeeze of lime… so shiok!! Reasons to visit this Ramadhan… lovely city view with an awesome Sarawak Laksa! Book Early! A-list Malaysian Feast Buffet is priced at RM100nett per person and early bird is available from now until 27 June at RM80nett per voucher! Chef’s A-List Malaysian Feast is available from 30 June till 26 July 2014. Not as expensive as some other places. Would love to try their Sarawak laksa.